So Saturday we launched our tribute to the legend... The Mighty Sparrow... now it’s time for you to decide how best you want to pay homage to the man... which song is your favourite and which costume you going to wear. CNz 2010 registration begins this week and from the sounds of things it goh be a rush, so doh back back on your choices because you might just miss out on your first, second and third options. Remember LOYAL CNz members (people who played mas with us for the past 2 years) have first dibs on costumes this coming Wednesday & Thursday, and then Saturday it is open to the public. MAS CAMP (same compound but different unit) 529 McNicol Ave (west of Victoria Park). 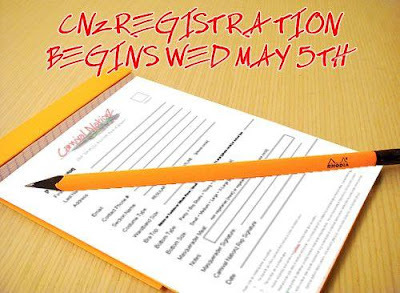 On-line Registration: Registration will be available on-line for the first time atwww.carnivalnationz.com please check it out and stay tuned for more info. Carnival Nationz will be offering a brand new and original service to all its masqueraders in 2010... Express Costume Home Delivery. There will a nominal fee to pay for this service but you can have your costume delivered to you at home (within the GTA area) instead of going through the pick-up process at the mas camp. CNz aims to always be one step ahead of the field.